A complaint filed with the State Department last week alleges a Los Angeles-area resort violated federal regulations by replacing its entry-level cooks with migrant workers on visas from Asian countries over at least the last four years. Unite Here Local 11 — a union that represents more than 23,000 hospitality workers employed throughout Southern California and Arizona — accuses Terranea Resort of employing around 45 people on J-1 visas to replace nearly its entire entry-level cook workforce. The complaint asserts that Terranea Resort workers with J-1 visas, reserved for people participating in programs that promote cultural exchange, are paid less than at least some of their non-J-1 counterparts and do not receive raises during their employment. "I think that on the one hand, these are jobs that should be going to people in Los Angeles and the LA area, but that this cultural exchange program is also intended to be an educational experience, not a works program, which is what it appears like they're doing here," said Andrew Cohen, press secretary of Unite Here Local 11. Terranea Resort took issue with the claims. "We dispute the union's allegations against Terranea - none of which have been proven," Jessie Burns, public relations director at Terranea Resort, wrote in an email. The complaint, dated Dec. 22, centers on the experiences of Wahid Rahman and his fiancée Falak Rashid, both from India. After interviews earlier this year, the couple was notified in June that they had been chosen for an internship at the 102-acre luxury Terranea Resort on the Southern California coast, the complaint alleges. Rahman and Rashid accepted the offer, with combined expenses for the two of them totaling over $12,000, according to the complaint. Both they and their families had to borrow money to cover the costs, the complaint alleges. After an orientation, they were assigned to the resort's in-room dining kitchen, working alongside five other J-1 holders, three of them from the Philippines and two from Malaysia, the complaint alleges. The couple earned $14.50 an hour without benefits, according to Cohen. The complaint alleges that, contrary to promises made to them, "there were no 'structured and guided activities such as classroom training, seminars, rotation through multiple departments, on-the-job training, attendance at conferences, or similiar learning activities." Rahman and Rashid eventually decided to cut their program short, resigning in late September, according to the complaint. They cited, in part, "issues" Rahman had had with the chef, whom the complaint alleges was "unprofessional and abusive." Among other things, the complaint accuses Terranea Resort of unlawfully using the J-1 program as a substitute for ordinary employment and of conduct that appears to constitute "fraud in foreign labor contracting," in violation of the Trafficking Victims Protection Reauthorization Act. Also named in the complaint is International Education Exchange, Inc., an agency that sponsors culinary training internships on the J-1 visa program at Terranea Resort. Allegations against International Education Exchange, Inc. include not providing Rahman and Rashid with "clear information and materials on what type of housing would be provided and the expected cost of housing." Reached by email, International Education Exchange, Inc. said it was not issuing a statement at this time. The complaint asks that Rahman and Rashid be fully compensated for their losses and receive remedies to which they're entitled, and that the State Department Bureau of Educational and Cultural Affairs investigate J-1 practices at Terranea Resort and hold the business legally accountable. "The State Department does not comment on individual complaints or incident reports filed with our Office of Private Sector Exchanges as most contain sensitive information," a State Department spokesperson said in an email. "We investigate all complaints and incident reported to us." 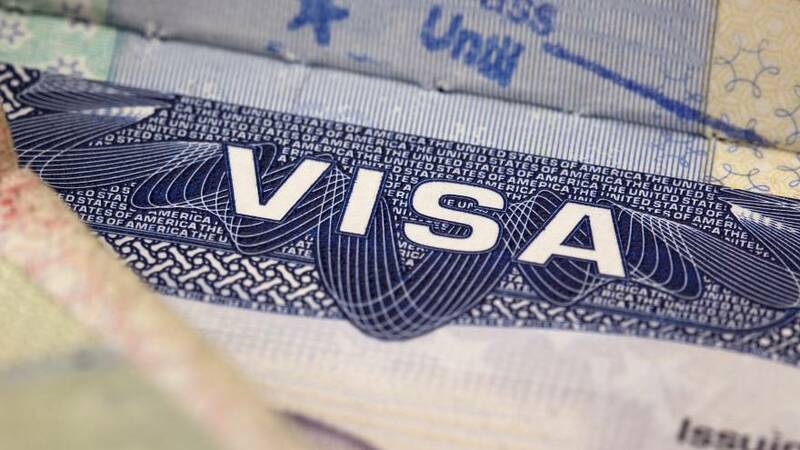 A State Department official noted that the department monitors students while in the U.S. on J-1 visas only and other work visa question should be addressed to the Department of Labor. The official added that the exchange visitor program is primarily an educational and cultural exchange program whose main goal is to allow participants the opportunity to engage with Americans, share their culture, strengthen their language skills, and — if there is a work or training component — learn and build skills that will help them in future careers. Burns, the Terranea Resort spokesperson, said it was important to note that Rahman and Rashid left the 12-month program after only six weeks. The resort does provide incoming interns with information on temporary housing options, Burns noted. "Outgoing interns, as well as the coordinating agency, often assist incoming interns with acclimating to their new surroundings," she added. Terranea Resort has been an authorized sponsor in the exchange visitor program since 2011, according to Burns, and has had more than 160 students complete internships there. Interns are recruited from school and are pursuing their culinary degrees, she said. "We are very proud of the students who we have trained and who have gone on to launch their own culinary journey," Burns said.